The choir at St Barnabas is a wonderful group of talented and fun people dedicated to enriching our worship experience and offering deep praise through great music. A non-auditioned choir, they perform at a high level and continually strive to expand their excellent, varied repertoire. 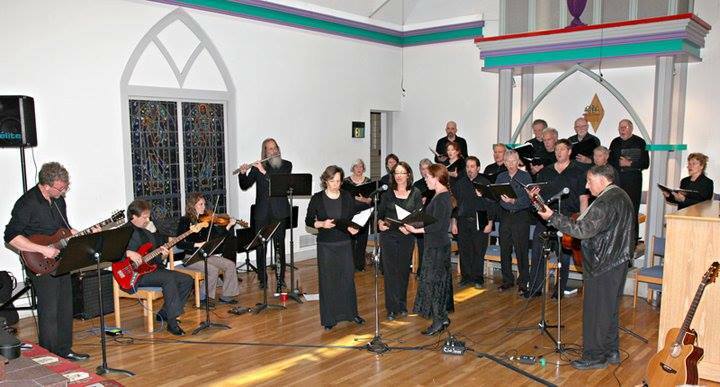 Led by Interim Music Director Mary Erickson and supported by organist Carole Tillotson, the St Barnabas choir sings every Sunday of the school year at the 9:30 am service and at other special services and events. Most notably, the choir offers major performance on Christmas Eve and Good Friday each year. Rehearsals are on Thursday evenings from 7-9 pm.